It is that time again. Summer is on the way and the spring clean season is in full swing, so grab your feather duster, open the windows and let us help you get organised with some Stackers hacks! It is that time of year when the sun shines a little bit more, so sunglasses will start to come out of their winter hibernation. We know first-hand how hard it can be to keep your sunglasses’ delicate lenses free from dust and scratches, so we have created a box that will protect your sunglasses from both! It also keeps your collection looking much neater and more elegant. It can fit approximately 5 pairs of sunglasses, and can stack with any classic size Stacker, which is a bonus too! 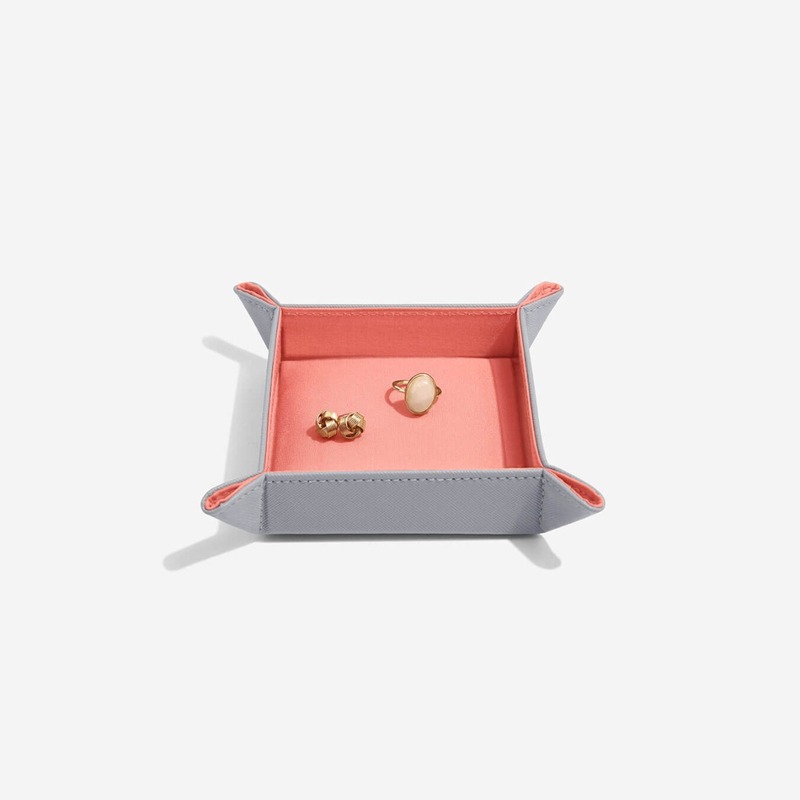 Our catchall is the perfect place to store all those little bits and bobs that have no permanent home, including all your loose change, safety pins, keys and any accessories. Popping all these items together in a smart tray instantly makes a space look less cluttered and stops you from losing these items when you need them most. It is also perfect to keep by the front door so that you can grab and go! Our charging valet is the ultimate multitasker. 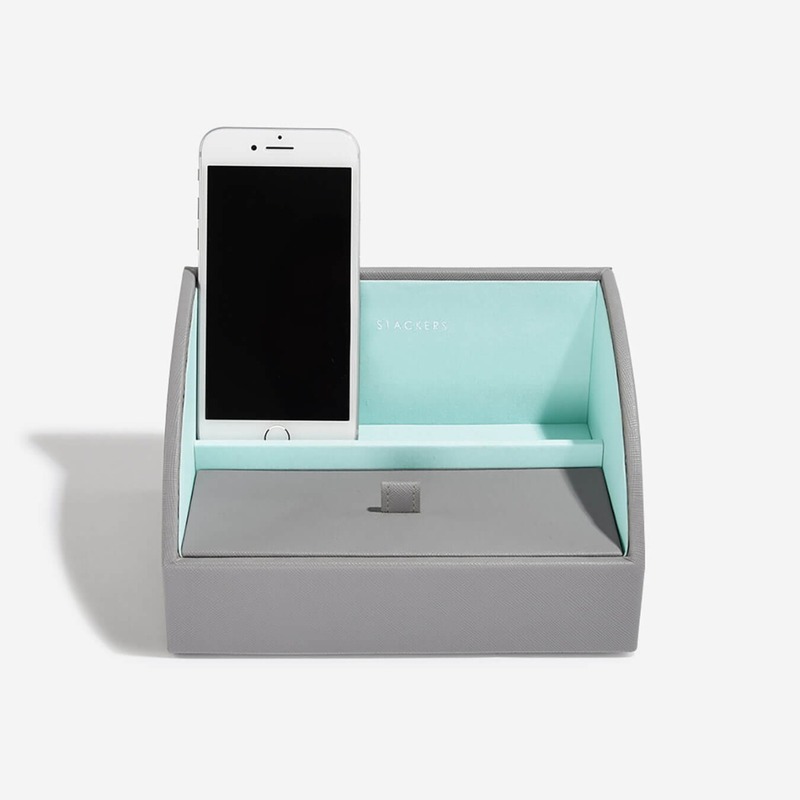 It allows you to not only organise any desk or bedside space, but it also enables you to charge small to medium electronic devices whilst keeping cables hidden and untangled. It is a definite must-have for anyone with a smart phone or tablet. Also, there is an additional storage space at the front for stationary or glasses. We make the charging valets in the women’s range too. This one features a ring roll for storing and small pieces of jewellery. Perfect for your desk or bedside table! 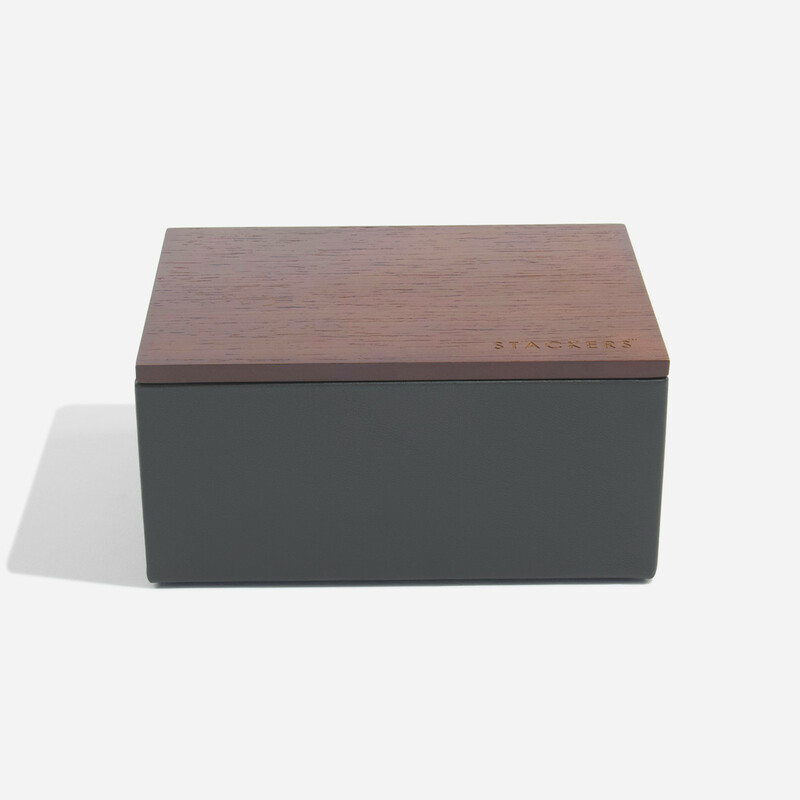 The Stackers jewellery box is specifically designed to keep your jewellery safe and organised. With so many different layouts to choose from, it is the perfect place to neatly store and organise everything, from statement necklaces and rings to watches and bracelets! The tech stand is the perfect kitchen companion when it comes to organisation. It is designed to hold a tablet/ smartphone so that you can read a recipe without worrying about awkwardly balancing books, or getting everything covered in ingredients. It also has a perfect space to pop your rings when washing up or cooking. 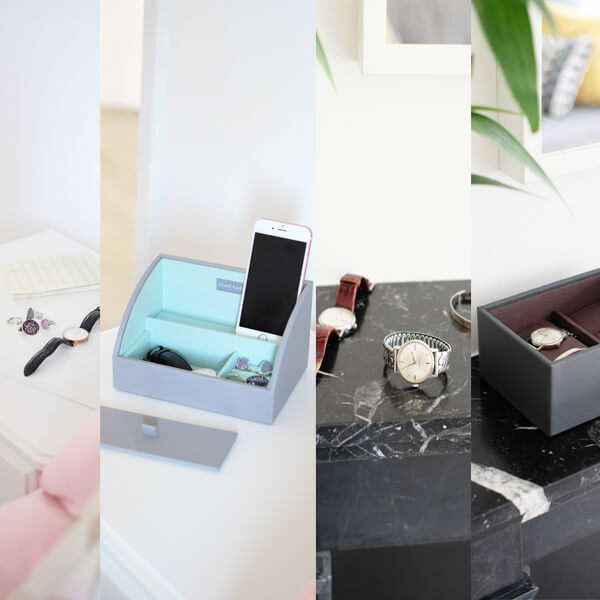 If you swap between watches or bracelets, our watch boxes are great for keeping your accessories safe and organized whilst you’re not wearing them. We make watch boxes to fit all kinds of watch collections, from the smaller watch Stackers (4 watches) to a Stackers 30-piece watch box, you will never have to worry about your watches getting lost or scratched again! We hope that this gave you a little inspiration for your spring clean! If you have any other ways that you use your Stackers products, please let us know by posting photos with the hashtag ‘#StackersHack’ as we would LOVE to see them and share them on our social pages.